Selected and Introduced by David Stuart Davies. 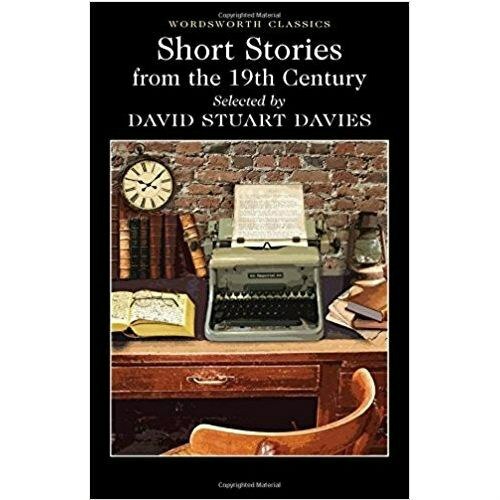 Short Stories from the Nineteenth Century is a wonderful collection of classic stories specially selected and introduced by David Stuart Davies. These are tales from the golden age of the great storytellers presenting evocative snapshots from that bygone era while at the same time providing engaging entertainment and stimulation for the modern reader. All emotions are catered for in the offerings by Charles Dickens, Oscar Wilde, H.G.Wells, Arthur Conan Doyle, Robert Louis Stevenson, Bram Stoker, Mrs Gaskell, O Henry, Anthony Trollope, Thomas Hardy, Wilkie Collins, Guy de Maupassant, Anton Chekhov, Charlotte Perkins Gillman and Charles Lamb. Through their words the rich pageant of yesterday springs to vibrant life. Each story has its own introduction and there is a set of informative notes. This volume is ideal reading for the student as well as those who relish a good tale well told.